At a very early age Pili started a very successful business with nothing. Because of her experience she understands the struggles and trials business owners face. 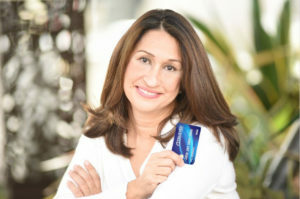 She knows how it feels to start a business with no money, increasing debit and no help. She knows the feeling of having the world on your shoulders and she understands the pressures business owners face. That is why she has dedicated her career to helping other business owners succeed. To Pili, people are the most important part of business, their hopes, their dreams, their challenges, and their successes. Pili’s mission is to provide the very best service possible and a fair price. She never waivers from her conviction to do the right thing, to care, to treat everyone with respect, to be completely honest, and to have complete integrity. Armed with a lifetime of knowledge, years of experience and her heart, Pili is dedicated to finding the best payment technologies for you. If she does not have a solutions she is committed to helping find someone that does. If you are looking for someone who is truly committed to placing your needs first, help you find what you want, and make sure you are happy then Pili wants to help. YOU DESERVE THE RIGHT TO BE TREATED RIGHT, GET FAIR PRICING, WITH EXCEPTIONAL SERVICE. THAT IS PILI’S PROMISE TO YOU.